The particular species pictured above is common in Maryland and other states along the eastern coastline. 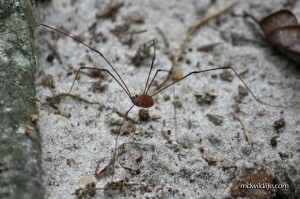 A Harvestman crawls across the ground at Idylwild WMA. Early summer months – June and July – are usually the best time to spot these species, though they can stray later into August and September. 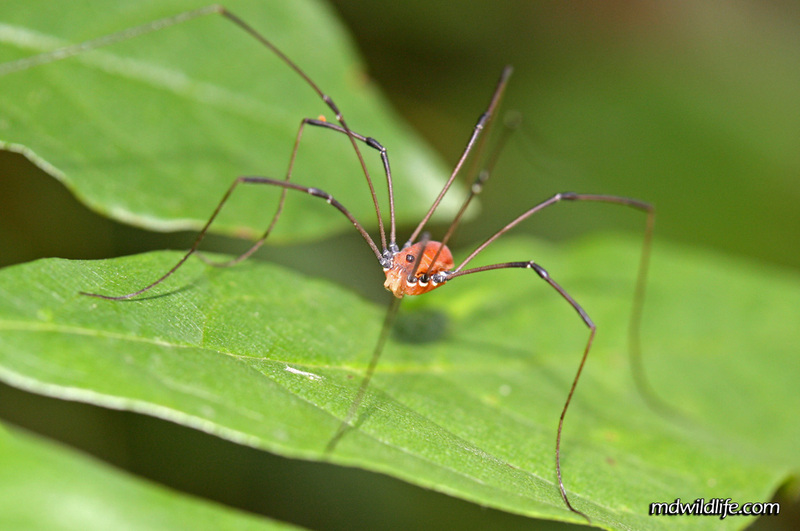 Their bodies are often so small and legs so thin, that a Harvestman can be hard to spot unless its on the move. Harvestmen will crawl across forest and trails floors (like the picture to the right taken at Idylwild WMA) and will very easily blend into a surrounding bed of dirt, leaves and rocks. Harvestmen may scamper fast across the ground, but if you catch one beneath a leaf or on the branch of a tree or bush, it will likely stay still and offer the chance for photography. 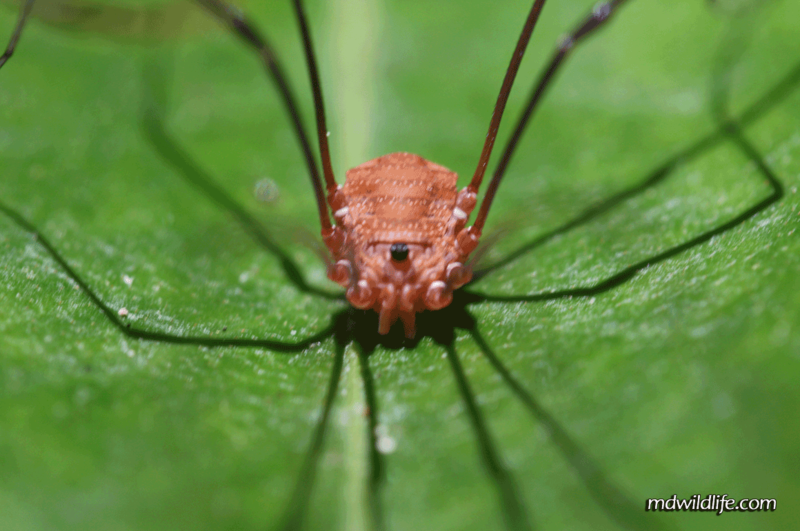 On occasion, a Harvestman will have little red mites on its legs. It could be one (like in the photo above) or several. The mites are parasites. There is a well known myth about Harvestmen being poisonous, but unable to bite humans because of small fangs and this is completely incorrect. There are several websites dedicated to debunking the myth. Macro shot of a Harvestman at Idylwild WMA. Glad I observed this on google here . The harvestman is Leiobunum verrucosum, not Hadrobunus grandis.